SE miss the mark with Android smartphones? More details have been released on Sony Ericsson's Q4 financial results, which saw it record a pre-tax loss of £205 million. Sony Ericsson has put this down to intense competition in the market, the turbulent global economic situation and the recent natural disaster in Thailand – where many components are made for its handsets. SE goes on to highlight another reason for the loss was due to the lack of new smartphones being released in Q4 – a sign of the times maybe, with Sony perhaps reluctant to produce more phones bearing the Sony Ericsson brand before it takes over full control in February. 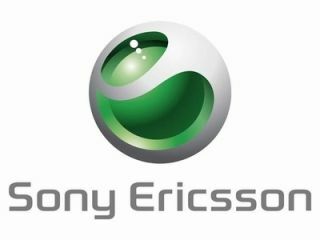 A shift of focus is also highlighted, with Sony Ericsson moving away from feature phones and concentrating on the Android smartphone market. Lower end feature phones have performed well for SE in the past; however the drop in units in this area has not been recouped by its Android smartphone range in Q4 (which have increased by 65% year on year though), which have failed to reach the heights of rivial models such as the Galaxy S2 and iPhone 4S. This has lead to a 20% year on year decrease in number of units shipped during the fourth quarter. Sony will be looking to get the company back on track when it takes over in February, using the Xperia S and co., as the cornerstone of its handset assault on the 2012 market - directly challenging the other big hitters arriving this year, such as the iPhone 5 and Samsung Galaxy S3.